MrTakeOutBags | Is Your Meal Prep Packaging BPA-free? Is Your Meal Prep Packaging BPA-free? There are a lot of conversations happening recently about BPA and BPA-free products. Many items, including water bottles and food containers, are being brought into question. But it seems there is still some confusion surrounding BPA, so we wanted to help clear up a few things. Very basically, BPA is a chemical (bisphenol-A). It’s found in some plastics, but can also be used as a liner in metal cans and in dental sealants. While the FDA reports that BPA is safe at low levels, it’s important to know that, in some cases, it can transfer into food from a container. Keep in mind that BPA has not been banned in the making of food containers. But there are manufacturers who have made the commitment to produce items that are BPA-free. Among them is CuBE Plastics, makers of the very popular reusable food containers. Ask any professional Meal Prep business owner and they’ll tell you that these are the go-to containers for packaging prepared meals. For starters, they’re microwavable, but also freezer and dishwasher safe. 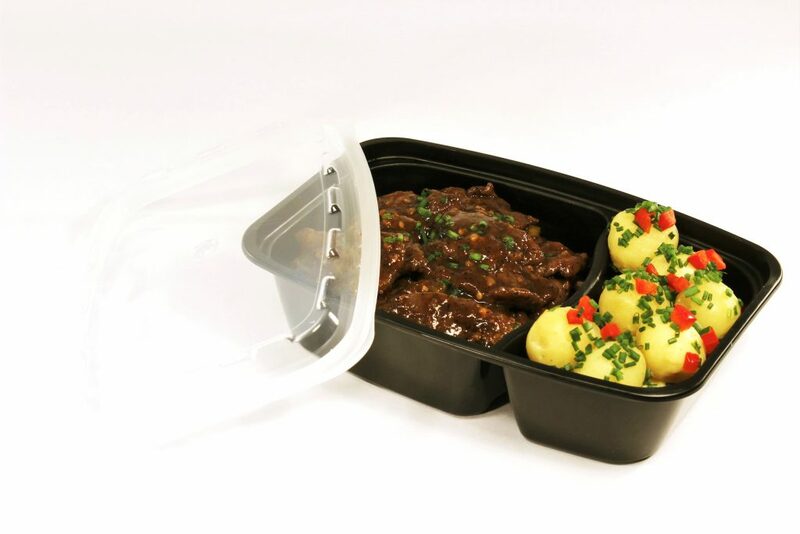 A leak-resistant barrier makes them a favorite for companies selling prepared food. They’re durable, which makes them a perfect container for using over and over again. CuBE Plastics goes beyond just making a tough, reusable container, though. 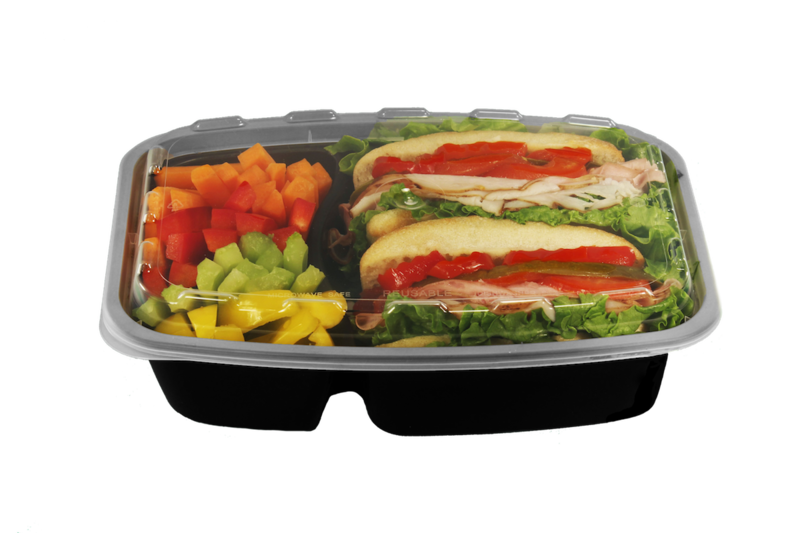 These plastic takeout boxes are made of FDA-approved materials and are completely BPA-free. Since they come in a variety of sizes and exclusive colors, if you’re looking to package your food in a BPA-free plastic container, this is the industry’s favorite option! Good news, CuBE is not the only manufacturer committed to BPA-free products. All of our Sabert serving trays, serving bowls, and serving utensils are made without the use of BPA. Looking for BPA-free clear salad bowls? Look no further than our WNA Caterline. Your customers will be happy to learn that none of these items are made with plastics containing BPA.